The 25th and longest-serving Chairman of the United States Securities and Exchange Commission (SEC), Arthur Levitt is widely hailed as the champion of the individual investor. Throughout his tenure at the Commission, Chairman Levitt worked to educate, empower, and protect America's investors - now more than 50 million strong. He created the Office of Investor Education and Assistance and established the Commission's website (www.sec.gov), which allows the public free and easy access to corporate filings and investor education materials. Now as a Senior Advisor at the Carlyle Group, he is sought out by top management for his invaluable insight and strategic counsel on complex business matters and financial issues. For the past decade, investors have been fed lies and distortions as well as exploited and neglected. In this compelling discussion, former SEC Chairman Arthur Levitt shows how you can take matters into your own hands. At once anecdotal, informative, and prescriptive, his “Take on The Street” presentation expounds on various financial subjects and the specific steps you can take to safeguard your financial future. With integrity and authority, Levitt provides a bracing primer on the collapse of the system for overseeing our capital markets, and sage, essential advice on a discipline we often ignore to our peril-how not to lose money. 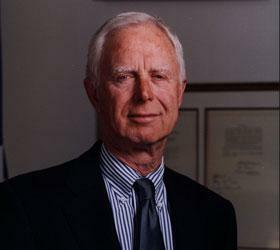 As past Chairman of the SEC and a current advisor for the Carlyle Group, Arthur Levitt has a unique vantage point from which to observe and analyze today’s economic environment. In this fascinating presentation, Chairman Levitt provides an unparalleled look and his exceptional insight into the drivers of the current situation, the effects of government activities and what the future holds for corporations, individual investors and the American people.